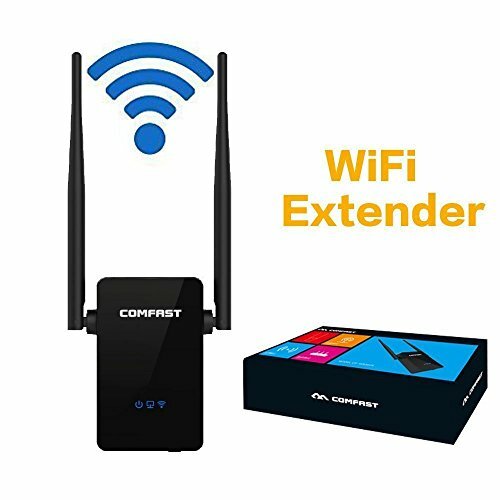 How can WiFi extender help you? 3.No matter how big your house, WiFi extender can also help you with a strong 360-degree WiFi coverage. 4.Intelligent Roaming, automatically connect the strongest signal source. Dual CPU: RTL8196EU+8192ER, provides you with the most stable WiFi signal and the fastest speed. Wall-Through WiFi Extender: HONGYU WiFi extender is Built-in Dual Realtek Chipset, which ensure strong signal from the CPU. 300Mbps, Farewell to Low Speed Internet. The distance that WiFi Signal can extend, is depending on the distance among router, HONGYU WiFi extender and WiFi Users. So controlling the distance between WiFi extender and router, then you can control the distance that WiFi Siganl can extend. 5 Search for WIFI source, enter the password. Confirm enable. Easy to Install and Use - Small size and wall-mounted design make it easy to deploy and move with flexibility. Simply pressing WPS button to ensure the network is safe. No new wires.Through WiFi Extender: It can be going through very well and extend wifi coverage to long distance. Universal Compatibility: Work with any wireless device/network/router. 300Mbps Wireless Data Rates ideal for video streaming, web browsing, and Internet calling.A wireless extender, instantly expand your home's wireless network coverage and no more Wi-Fi dead zones. Compatible with nearly all WIFI enabled devices including Smartphone,iPhone,iPad, Tablet, Laptop, Desktop,ect and ideal for TV, online gaming and large file downloading. Dual CPU: Provide you with the most stable WiFi signal and the fastest speed;Dual fixed 330 degrees external antennas to eliminate dead area to the provides the best value and connection for your Internet needs. Smaller and lighter compared with others .Mini and compact size great for home,office and travel use which comes with 50cm wire cable.Advanced thick ABS used to against electric shock, anti-fire. The hollow design of both sides to allow rapid cooling and ensure a long life for product. If you have any questions about this product by Hongyu, contact us by completing and submitting the form below. If you are looking for a specif part number, please include it with your message.